It's called "Songs from My College Desk Drawer." All the usual suspects are there: Sleater-Kinney, Throwing Muses, PJ Harvey, Portishead, Bjork, The Cure Talking Heads, etc. It started out as a mix CD I made for Halstead and my friend Cary. 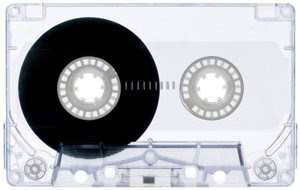 When the challenge arose to create a Muxtape I thought, "why the hell not?"